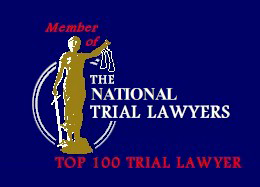 This page is new to our site. On a complimentary and reciprocal basis we will provide links to selected sites if a book has content that might be of interest to our clients and visitors. Join David Tanzer in some recommended reading of the following list of top books of all time. These books will challenge your thinking, fill your mind with useful advice to last a lifetime, and help you create a solid foundation toward reaching your goals. Click on the title to be linked to the order page. 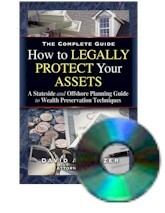 How To Legally Protect Your Assets, second edition, by David A Tanzer, a former judge and litigation lawyer has created a layman's guide to asset protection and wealth preservation. For the first time, a complete guide to all of the different legal asset protection tools is contained under one cover. Professionals acting in the disciplines of law, accounting and asset management have found it a useful guide in providing stateside and international planning advice to their clients. This book is about protecting and preserving your hard-earned money and property, understanding the legal tools available and how to successfully use them every day. A 400 page book and complimentary DVD helps you identify domestic and offshore choices that are best for you. Learn how to level the playing field, whether for international asset protection, global investment diversification, or for pre-migration planning for offshore living and investing. 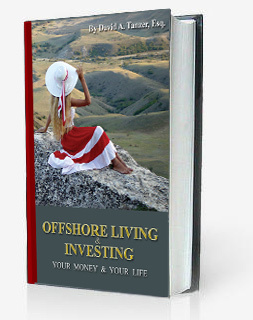 Author of “Offshore Living & Investing."